Avery Jenkins is a touring professional disc golfer embarking on his 14th season playing tournaments throughout the US and abroad. Recognized as one of the longest throwers in the game, he has achieved great success on the PDGA Tour. Currently the 2009 World Champion and ranked 4th in the world, he is considered to be one of the best players in disc golf and continues to be a great ambassador for the sport. 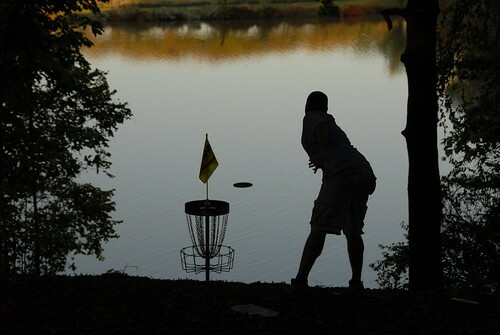 Growing up in Hinckley, Ohio, Avery has been around disc golf all his life. His mother, Sharon, has won 3 World Championships (’92, ’94 and ’98). His father, Leroy, has won many NT Titles and is credited with instilling in him the love for the game. His sister, Valarie, is also a touring professional disc golfer and is currently the 3X Women’s World Champion (’07, ’08 and ’09). After throwing his first disc at the young age of 7, Avery began playing disc golf recreationally and in tournaments sporadically as a kid. He first joined the PDGA in 1992 as a Christmas gift from his parents, but it was not until after he graduated from high school that he developed an intense passion for the sport and set out to build his life around it. Avery was named Rookie of the Year in 2000 after his debut in the professional ranks. He had a great inaugural season, winning 5 PDGA events and finishing 20th at the World Championships. He also became a member of Team Innova that year at the United States Disc Golf Championships. The successes he had that season served as the catalyst that inspired him to pursue the adventures of the disc golf tour full-time throughout the coming years. 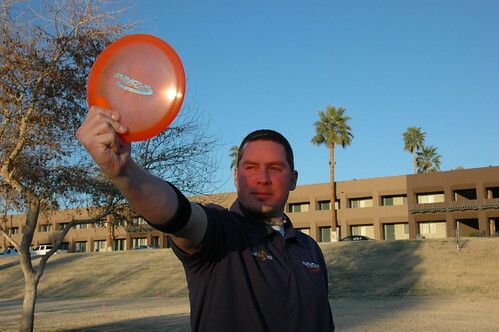 Avery began touring full-time in 2001 when he was offered a spot with “The Winnicrew” consisting of Innova Team members Todd Branch and David Feldberg. They had previously toured during the 2000 Season with Al Schack and Sue Stephens, but they went their separate ways as Al and Sue decided to go on their own and travel as a couple. Dave and Todd were looking for a young up-and-comer to make a real impact on their tour and push their competitive play, and Avery was just the person for the job. The Winnicrew traveled together for the next 2 years and made a name for themselves on the PDGA Tour taking top honors at many events. But the crew grew tired of all the travel, and Dave and Avery decided that they really wanted to go back to school to and graduate from college. 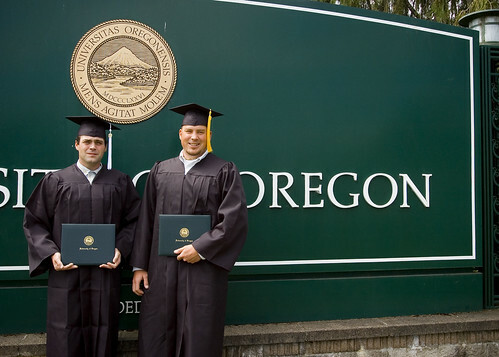 They both jumped off the disc golf tour the winter of 2002 and moved to Eugene, Oregon and enrolled at the University of Oregon to finish their education. Dave and Avery both continued to play tournaments throughout the year and still kept up with all the grueling academic responsibilities of being a college student. They did a majority of their traveling in the summer and still played a lot of the large tournaments while school was in session during the spring and fall. All the hard work paid off: Avery and Dave both graduated with college degrees in 2007. Over the past 10 years, Avery has achieved great success on the disc golf course playing in 290+ tournaments across the United States and abroad, including Major tournaments in Japan and Europe. His career highlights include winning the 2009 World Championships, the 2004 Japan Open and the 2006 Player’s Cup. 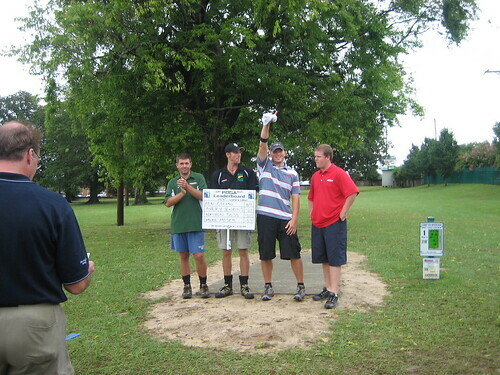 He is also the 2008 & 2009 PDGA Points Leader and has won 40+ PDGA tournaments to date. Avery continues to improve his game both while on tour and during the off-season with lots of practice and strength training, always striving to take the game to the next level. In addition to tournament play, Avery gives back to the growing disc golf community by offering clinics to players across the country. He feels blessed to make his living promoting the sport he loves as a professional player, teacher, and ambassador of the game. He is incredibly indebted to the pioneers of the sport and his personal mentors who have helped him become who he is today. He credits his family – his parents, Leroy and Sharon Jenkins, and his sister, Valarie – and his best friends and mentors – David Feldberg, Nate Doss, Ken Climo, Barry Schultz, Steve Wisecup, Steve Valencia, “Crazy” John Brooks, David Greenwell, Dave Dunipace, Tim Selinske, Sam Ferrans, “Steady” Ed Headrick, Mike Randolph, Dan Ginelly, Cam Todd and Scott Stokley – especially for paving the way for him and for supporting him over the years through his continued success on and off the course. Avery has big dreams for the upcoming season. He hopes to continue to do what he loves on disc golf courses throughout the world and, of course, to bring home another Major Title in 2013.